Don’t wait 2-3 weeks for your printed envelopes… we can print and convert in the same week! With capacity to run well over half a million envelopes per day, quick turn-times are our specialty, even for short runs. DID YOU KNOW ENVELOPES CAN BE CUSTOMIZED? CUSTOM SHAPES – envelopes don’t have to be square anymore! Hang your design off the edge with our custom shape envelopes. A custom die is created to match your design to truly make your envelope one of a kind! FULL BLEED – don’t settle for a 1 or 2 color envelope when you can have full color, FULL BLEED envelopes for a reasonable price! We are competitive into the millions of envelopes and as low as 250 or 500 envelopes! CUSTOM WINDOWS – don’t settle for the run of the mill window placement! Work with our design teams to find the best window size and placement to maximize your marketing space. USPS APPROVAL – we work on your behalf to make sure any custom shape envelopes will meet postal regulations for you! WHAT IS SUN’S QUALITY DIFFERENCE? The HEIDELBERG OFFSET or HP INDIGO quality you love is used to deliver the best in color and image clarity. FOIL STAMPING – Let us add a flash to the inside or outside of your envelopes IN-LINE while we are converting to catch your target’s attention. G7 MASTER CERTIFIED – Sun takes pride in being G7 Certified, which has facilitated a comprehensive solution to color management. 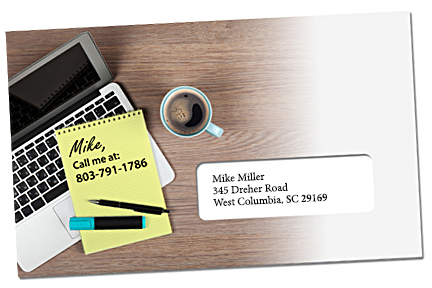 DID YOU KNOW YOU CAN PERSONALIZE ENVELOPES? We aren’t talking about inkjetting an envelope! 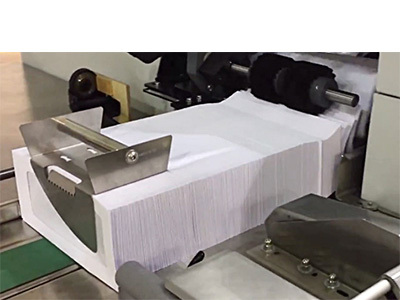 We print variable text AND IMAGES through digital presses and then convert the envelopes. Make each envelope have the same personalization as on the letter but start with the envelope first! News Release: Lenexa, KS – W+D North America Inc. announces the sale of its first W+D 410 Easy Enveloper to Sun Solutions of West Columbia, South Carolina. The W+D 410 Easy Enveloper offers complete size and window change overs in under 30 minutes for even direct mail envelopes like #9, #10 and 6 x 9 ½” envelopes on coated or uncoated stock that then runs at speeds of 500 envelopes per minute. The 410 Easy Enveloper also embraces new technology that makes conversion of digital printed sheets a reality without traditional high die cutting or unacceptable waste factors. Sun is the ONLY business in North America to have this machinery until more are manufactured in Germany. What envelope can we custom produce for you?